Actor Luke Perry has died! 90210 and current Riverdale Actor suffered a stroke. Actor Luke Perry passed away on Monday after suffering a stroke. Luke Perry is best known for his roles in 90s TV show Beverly Hills 90210 and currently plays Fred Andrews in CW show "Riverdale". The 52 year old man was admitted to hospital in Los Angeles on Wednesday following a massive stroke, he was in LA filming for Riverdale. His family and friends surrounded him at hospital as he passed away. The family wished not to comment further as they grieve the sudden loss. 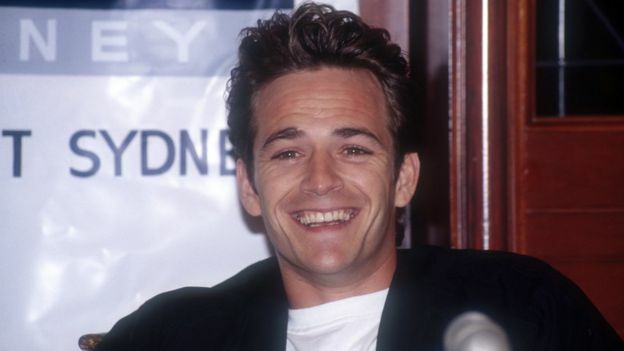 Luke Perry starred in Beverly Hills 90210 between 1990 and 2000, the show only announced a reboot on Wednesday although it was not confirmed if Perry has made any plans to be a guest appearance. He starred in TV show Oz also films such as Buffy the Vampire Slayer and 8 Seconds. What a sad time, RIP Luke Perry.